Does anyone have any information about A. & B. Newbury? I have found very limited information online – they are from Coxsackie, NY and made a press called the Country Jobber. 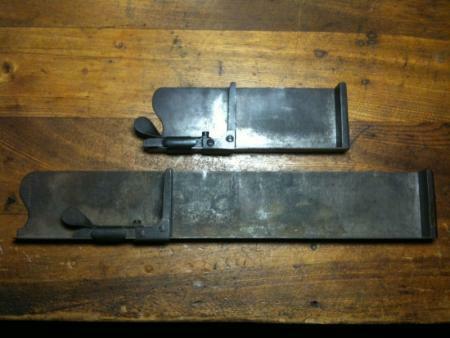 I have a composing stick(s) made by them that I think dates to around 1860. When did they close down? Or were they get bought into another company? Thanks in advance. Alonzo and Boliver Newbury of Coxsackie, NY, made several newspaper presses shown on pp. 137, 138 of Harold Sterne’s “Catalog of Nineteenth Century Printing Presses.” They are mentioned on p. 396, of “American Dictionary of Printing and Bookmaking.” Platen presses were Eureka, 1872-80, and Reliable Jobber, 1880. Ralph Green in “A History of the Platen Jobber” lists the Eureka as a type “d” platen press with a bed fixed and platen supports pivoted near floor, with platen pivoted at its center. The Reliable Jobber listed as a type “c” platen press, with bed fixed and platen pivoted at lower edge (clam shell). Two of the patents held by the brothers were 15740, September 16,1856 for a flatbed cylinder; 24655, July 5, 1859 for a self-inking bench-top card press. A Mountain Jobber, 7x11.5 was produced in 1858. Elizabeth Harris notes in “Personal Impressions” p. 24 and 151, the accomplishments of the Newbury brothers, with illustrations of their Country platen presses. Looking for some press information for what I believe to be an A&B Newbury 12”x18”. I did not have a measuring tape with me, so I’m not exactly sure that is the correct size of the chase (rookie mistake!). I would love to see some illustrations/diagrams or photos of someone’s press of the same model. 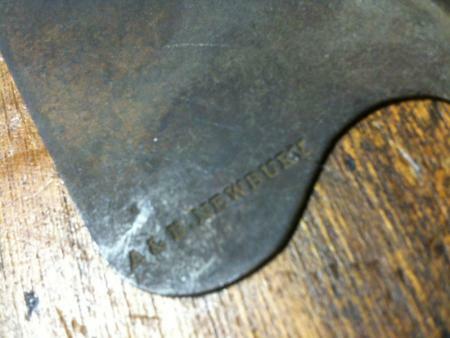 I’m also looking for information on a A&B Newbury that I believe is an 8”x12”.